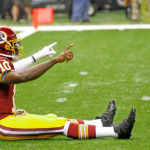 Cousins or RGIII for Washington? In March 2012 the NFL draft was rocked by a pre-draft trade between the Redskins and the St. Louis Rams. The Redskins got the No. 2 overall pick (Robert Griffin 3rd former Heisman winner), while the Rams got the Redskins first round picks from 2012-2014 and the 2012 second round pick. 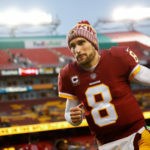 Once the Redskins drafted Robert Griffin, most of us thought they were done drafting quarterbacks then in the fourth round they drafted Kirk Cousins out of Michigan State, many Iowa fans remember Cousins performance at Kinnick in his Senior year. Cousins was seen as a backup plan or trade-able for future draft picks. Robert Griffin flourished in his first season as the starting quarterback, bringing the read option with him from Baylor. He won Rookie Of The Year with his 20 touchdowns to just 5 interceptions. He lead Washington to a NFC East division champions. In the playoffs, he played on the dreaded unstable turf at FedEx Field against the Seattle Seahawks and tore his ACL and LCL. http://www.youtube.com/watch?v=u8rnPjr6U1c (graphic content advised) People started to question Robert’s relationship with head Coach Mike Shanahan. Kirk Cousins was left to mop up duty and a few starts late before the playoffs due to Robert’s injury versus Baltimore earlier in the year. Just days after the loss to Seattle, Robert Griffin had ligament surgery by the world renowned Dr. James Andrews. He was expected to make a full recovery and be ready by the start of the regular season. Kirk Cousins got most of the off-season training activities know as OTAs and preseason work. At the time he was more ready to lead the team to start the season then Robert because of his rhythm he had with the offense from OTAs. Instead Robert started week one looking rather rusty because he didn’t get much practice time with the team recovering from surgery. causing the offense to sputter. He was forced to more of a passing quarterback than than a dual threat(passing and running). He wore a knee brace all season and that may have affected his performance. With three games left coach Shanahan shut him down for the remainder of the season, giving Cousins another chance to show his value. Robert never has seemed to fully recover from surgery. The Redskins ended up with three wins and 13 losses which was in a large part defense and special teams issues, not always the sputtering offense. Cousins lead the team to three close losses while Robert relationship with Shanahan continued on a rocky course headed for disaster. Shanahan was fired after the season with one year left on his contract which wasn’t surprising news to Washington fans. 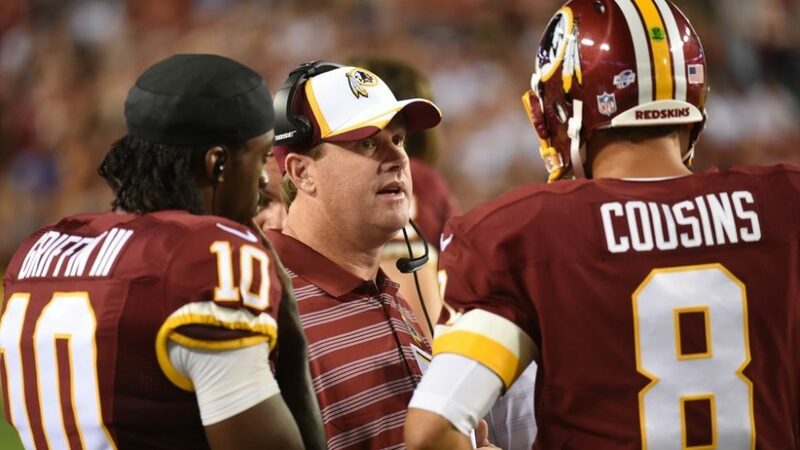 The Redskins hired Jay Gruden, (Jon Gruden younger brother) and instantly the debate began over who would and should start. In the preseason a month ago, Cousins played lights out while Robert struggled a little. 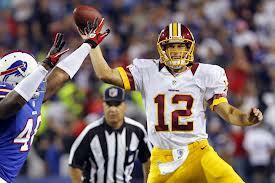 Many people believe Cousins is the better quarterback right now and should have started again to start the season. Week 1 the offense struggled mightily only putting up six points. Robert Griffin III has not been able to stay healthy for a full season since entering the league. completed a pass to get the drive alive. He came down awkwardly on his plant foot and was in immediate pain. He stayed down for a couple minutes then they put a brace on his leg and carted him to the locker room for X-rays. Cousins entered the game and played exceptional yet again, leading the Redskins to a 41-10 win. He threw for 250 yards and 2 touchdowns. The diagnosis for Robert was 6-8 weeks recovery time. With how Coustins played Sunday, I don’t see any hurry to rush Robert back before he’s ready. Unconfirmed reports say coach Gruden prefers Cousins over Robert. Personally being a Redskins fan, I think Cousins is a better fir for the offense than Robert right now because Cousins is more durable and consistent. I do think Robert is the better player but since his surgery I don’t think he’ll be the same player as his rookie year. He reminds me of Bob Sanders a great player but just couldn’t stay healthy. I haven’t lost confidence in Robert but at the same time I want what’s best for the team. It will be intriguing to see how this situation shakes out with Robert being the face of the franchise but being out performed right now. Where Will Kirk Cousins Land?